Inkspire Me: Happy New Year? I have been so delinquent lately. I'm so sorry to all of my valued readers and customers. Life has been incredibly busy with my new job and kids back to work that finding time to post has become difficult. My New Year's resolution to you all is to post more frequently and share with you all the wonderful things you can create with Stampin' Up! product. I'm sure if you've followed my blog, you'll know that I like to post creations I've designed myself and many that I've CASE'd from others. I plan to continue that. Of course, January brings a new catalog and SALE-a-BRATION! My favourite time of year. Who doesn't like getting FREE product? For those of you who have never experienced Sale-a-Bration, with every $60 you spend, you'll get to pick a FREE exclusive item from the Sale-a-Bration catalog! If you haven't received your Occasions Catalog or Sale-a-Bration catalog and would like one, please send me a message to let me know and we can work on getting one to you. Now for the creative stuff. Here's are a few items I did over the holidays. Many of these items are only available through Dec 31, and then they will retire. I have an order going in tomorrow at 4pm EST. If you'd like to get in on it, please send me your order with payment right away. These were my Christmas cards this year. 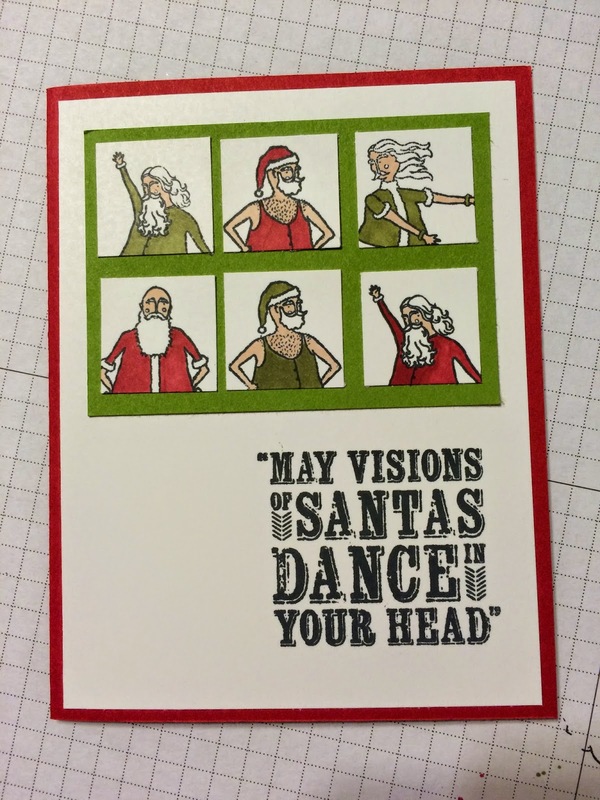 I love the stamp set Visions of Santa. There's just something about Santa, dancing in his underwear, that makes me giggle. 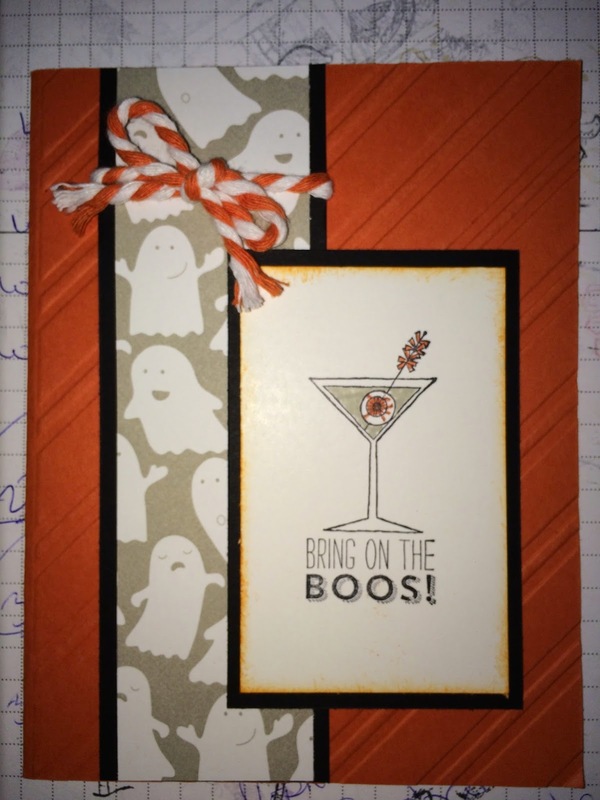 I used whisper white, real red and old olive as the colours in this card. Ok, so that's just a small sampling of what I've made over the past little while. For more ideas, be sure to check out my Facebook page. If you'd like to learn more about what I do or to have a party and earn your favourite items for FREE, simply send me an email or give me a call, 289-280-0304 or text 905-320-4477.